Liner Products Proudly Announces LP-Cure and LP-Light Ready-to-Install CIPP; Introduction of two new product lines has company poised for growth. PAOLI, Ind. – Liner Products LLC is pleased to announce the addition of two lines of resin-saturated CIPP liners to its traditional dry nonwoven felt product offerings: LP-Cure, a ready-to-install resin-saturated felt liner and LP-Light, a reinforced liner for UV curing. “Throughout our nearly 20-year history, we’ve taken great pride in continuous commitment to refining and perfecting our manufacturing capabilities to enable us to provide solutions for virtually any CIPP application,” said Brett Buckalew, Vice President, Liner Products. 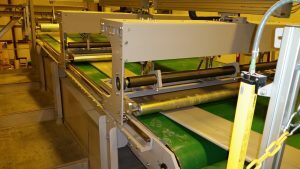 “Expanding our product line to incorporate saturated liners for both heat and UV light curing allows us to serve our customers on a whole new level. LP-Cure Resin-Saturated liners are composed of nonwoven felt material and are saturated with a resin-catalyst mixture. 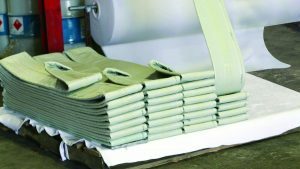 The liners are available in sizes ranging from 3”-48” inches. Like all of Liner Products CIPP liners, LP-Cure and LP-Light are custom designed and engineered to order in a variety of configurations, with fast turnaround available for emergency orders. Liner Products’ entire product line comes with the high level of customer service that its longstanding customers know and trust. Liner Products is pleased to announce the launch of its new website, where customers can visit to download important specifications, submittal information, ASTM documents, and much more. Visit www.linerproducts.com today! Since 1999, Liner Products has supplied the CIPP industry with nearly 40 million feet of premium-quality dry tubes. The company’s full team of support, engineering and logistics managers ensure that its products are designed and delivered to customers’ specifications, with timely response on emergency orders. Liner Products manufactures its tubes from its headquarters in Paoli, Ind., with additional wet-out facilities located in Indiana, Colorado and Florida. For more information, please visit www.linerproducts.com or call (812) 723-0244.